The idea of a cooking course in itself is exciting, but having it in a medieval castle is just a fabulous and unusual experience. Italian cuisine is one of the most popular in the world, and cooking classes in Italy to learn how to prepare local dishes are getting more and more appreciated. Moreover…Who doesn’t love castles? 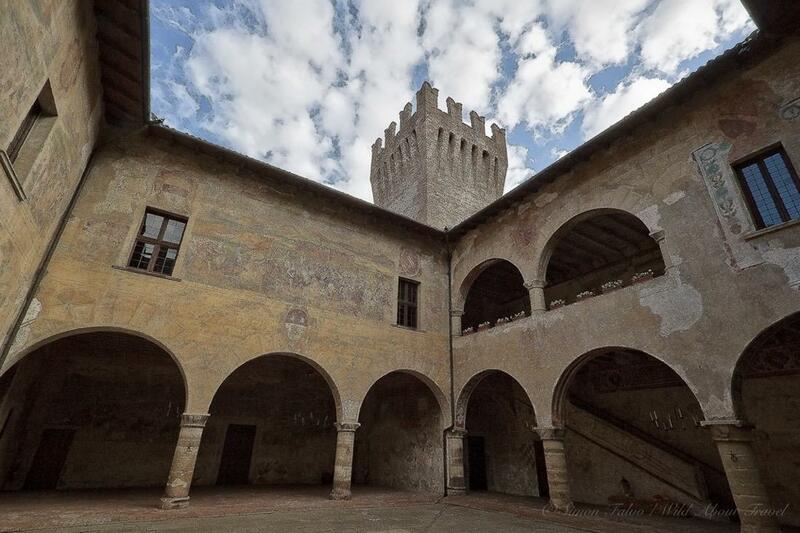 The Malpaga Castle, in the immediate vicinity of Bergamo, is one of the most enchanting settings one could imagine for a cooking lesson, and a perfect combination of an unusual and exciting experience suitable to everyone, including families with kids. The castle is also one of the finest examples of Renaissance buildings in the Lombardy region, with incredibly well-preserved frescoes. Unlike most castles in Italy, which were built atop a hill, Malpaga sits in the valley, its protection ensured by the tower, the high walls and a wide moat. 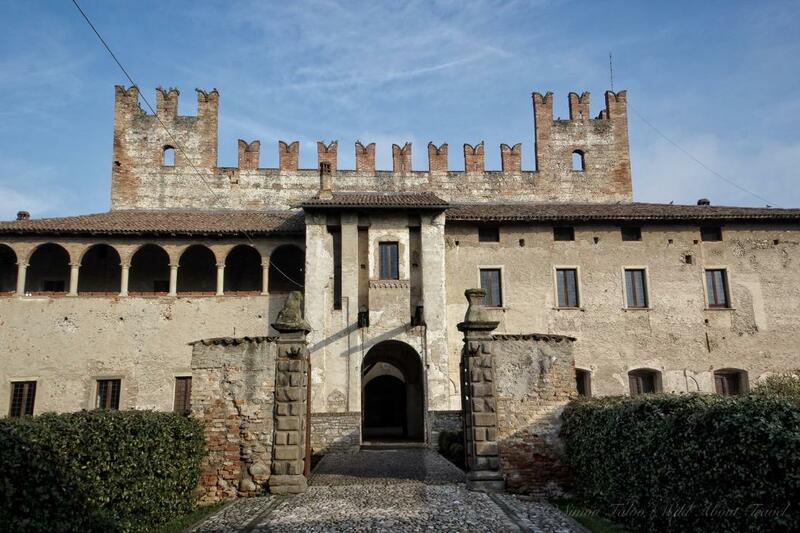 Bought by the condottiere Bartolomeo Colleoni in 1456, the same man who built the outstanding Colleoni chapel in Bergamo, the Malpaga castle enthrals with the contrast between the austere external architecture and the finely decorated interiors. 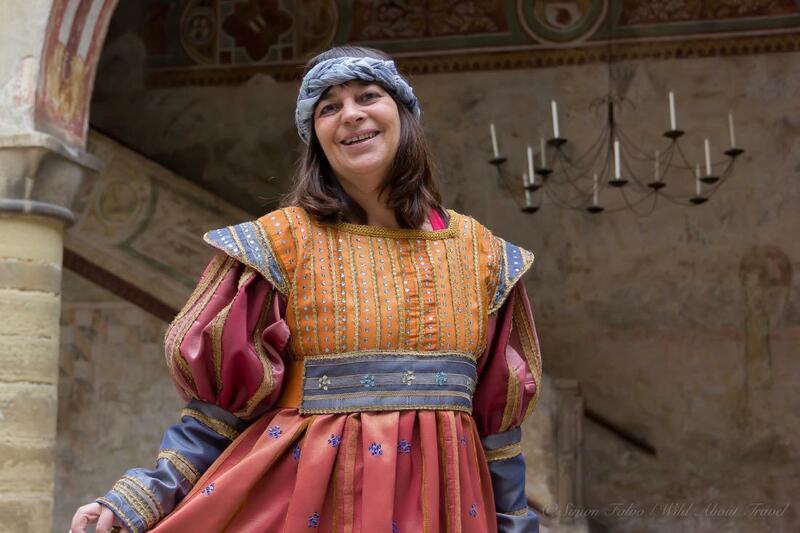 Today, the castle and its surrounding hamlet are open to the public, hosting events, tours in medieval costumes and cooking classes. Over the last few years, I had several opportunities to attend cooking lessons in Italy, all of them interesting and highly enjoyable experiences. The cooking class at the Malpaga Castle, however, had a special twist, mainly due to the mind-blowing setting and also because of the approach to food and cuisine. Besides teaching how to prepare delicious dishes like pumpkin ravioli, beef tartare and a light and delicate tiramisu, chef Carlo stressed the importance of high-quality ingredients, something I couldn’t agree more with. It certainly is easier finding good raw materials at a good price in smaller towns, and having the opportunity to cook with local products like free range eggs, biological flour and home-grown pumpkin under the valuable recommendations of chef Carlo and his team was a real treat. Another interesting learning was how to schedule the preparation of the dishes, taking into account the “resting time” of some of them. 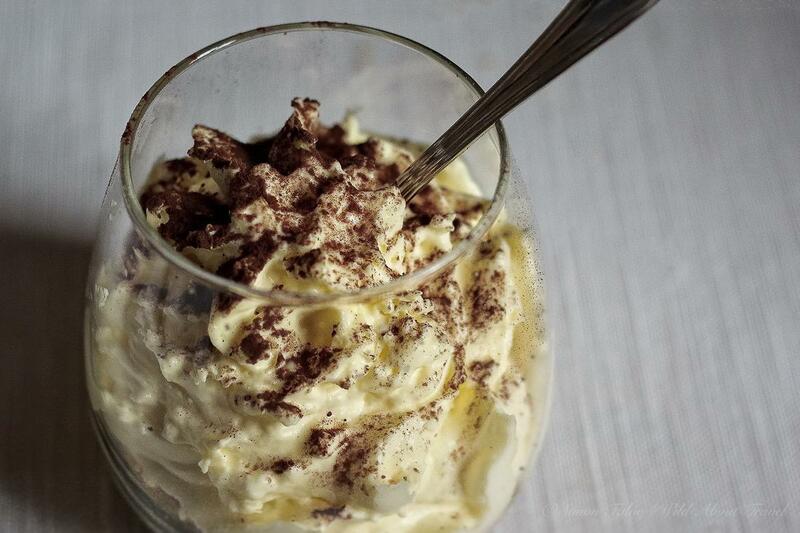 And so it was that we started with the dessert, a light and foaming tiramisu served in individual glass portions, and ended preparing the fast and delicious beef tartare when we also had a funny internal contest for the best presentation. After all, a gourmet lunch or dinner is not only about the palate, but a more “rounded” experience involving all senses, including the eyes. 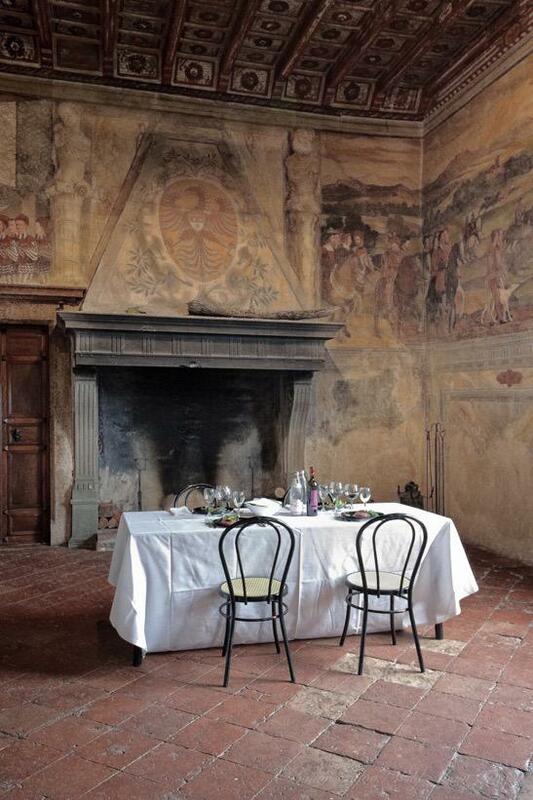 Talking about lunch… We savoured our lovingly prepared dishes in the room that once was the banquet hall, the nicely dressed table facing the beautiful ancient fireplace, surrounded by wonderful frescoes from the 16th century. 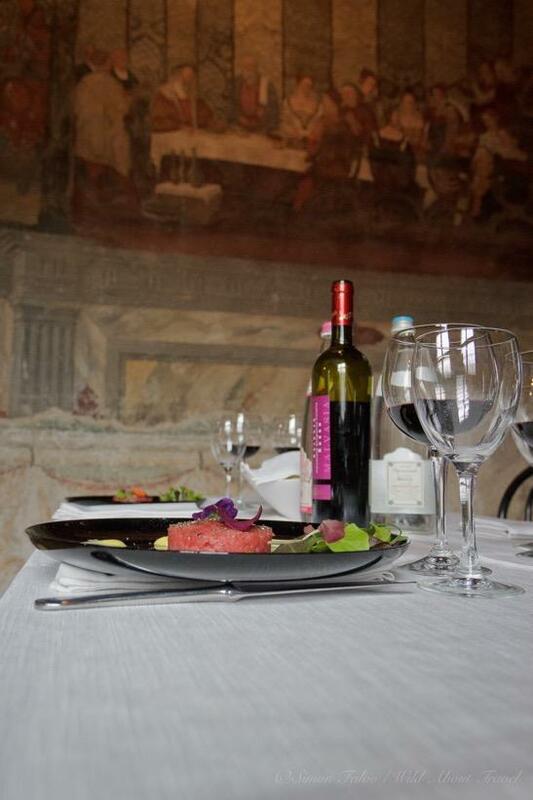 Aside from the modern tableware, it was a little like stepping back in time, and we could somehow imagine Bartolomeo Colleoni treating his high-rank guests, like the King of Denmark Christian I. 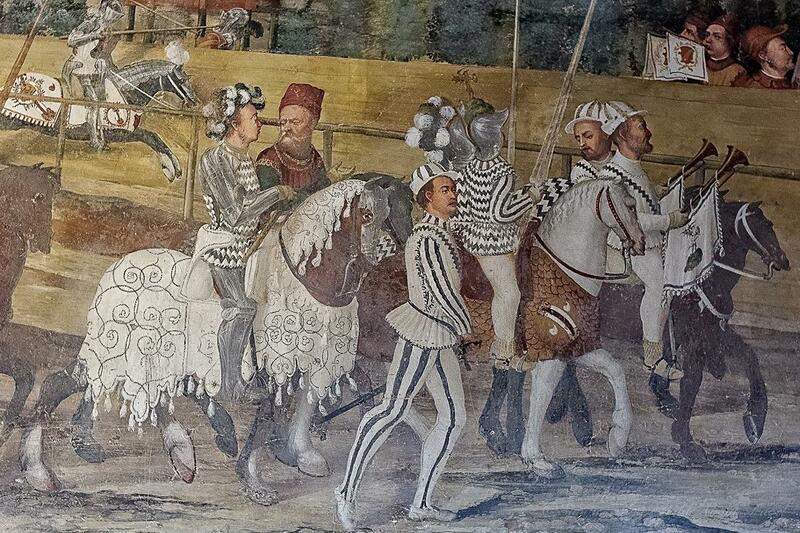 To get in the full Renaissance mood, lunch was followed by a tour of the castle and its stunning frescoed interiors dressing up in costumes reminding of the 16th century. I’m shy, a “disciple” of understatement, so I usually shun this kind of things. At first, I felt “trapped”, as it happened in South Africa when, with my friend Keith, we were unexpectedly drawn into a photo studio to have pictures of both of us mimicking er… the Great Gatsby. I admit, however, that with the right company it’s a lot of fun, and I bet families with kids would love it (and yes, there are costumes for children as well). The cooking course at the Malpaga castle ended up being one of the loveliest experiences I could imagine. 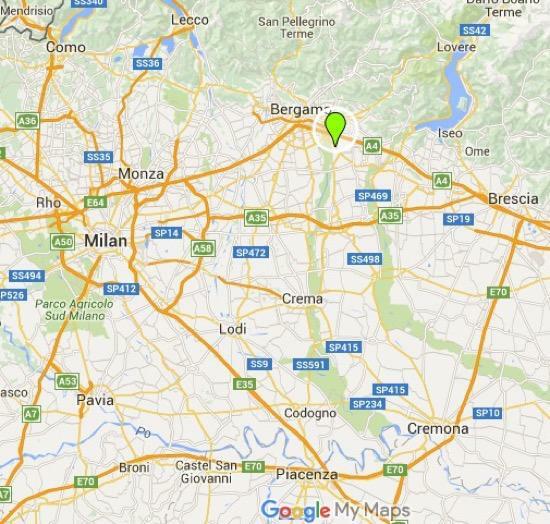 Cavernago is 15 km from Bergamo, 65 km from Milan and 115 km from Verona, and the best way to reach the castle is by car. The Standard package is for groups from 15 to max 25 participants, and the cost depends on the number of people. However, it is also possible to arrange tailor-made cooking lessons, contacting the castle. More info here. 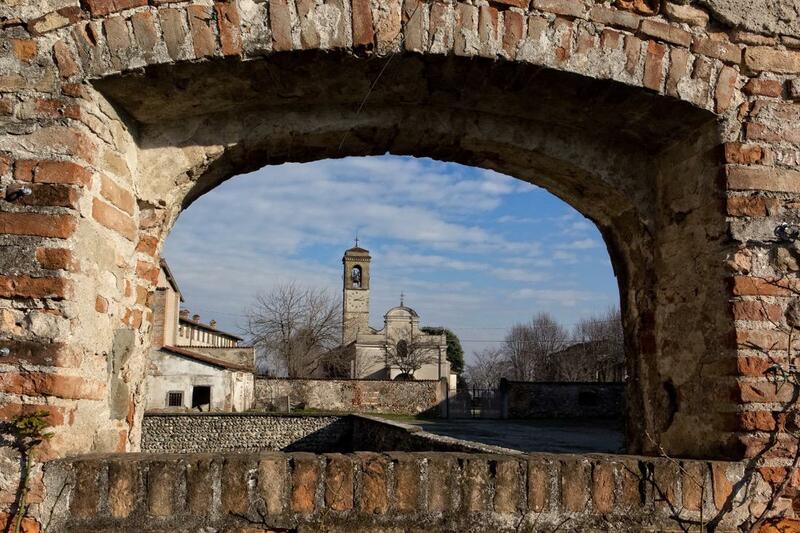 Note: This article was written as part of the #inLombardia365 campaign, created and managed by iambassador in partnership with Lombardy Tourism. As always, Wild About Travel retains all editorial control of what is published. Beautiful pictures, it looks like those old medieval movies. Let’s face it though: my tartare was the coolest looking one! (KIDDING!!). You are right: the cooking class, the tour of the castle, the company: it was a real treat and a fun day I will remember!! You’re right! 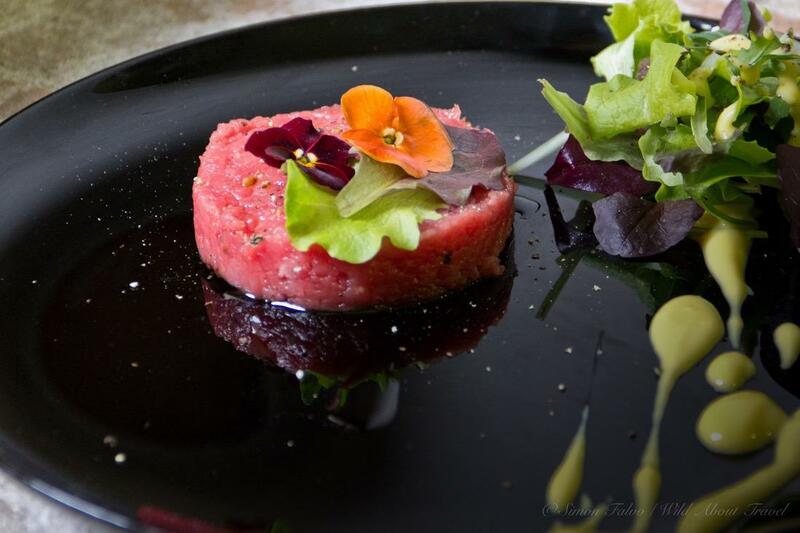 Your tartare was the prettiest looking! Nice to share this experience with you.